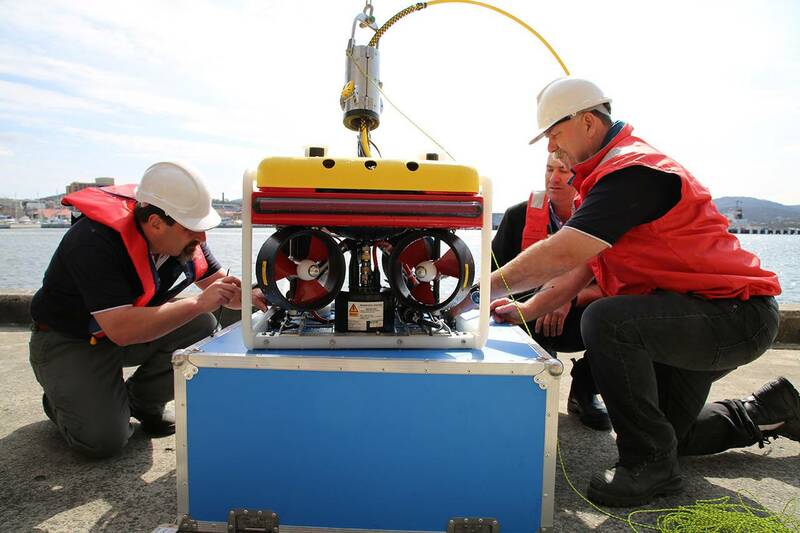 Australia’s Commonwealth Scientific and Industrial Research Organization (CSIRO) has begun training students to operate their new Saab Seaeye Falcon remotely operated underwater vehicle (ROV). This follows Falcon training for CSIRO staff at the organization’s facility in Hobart, Tasmania, by BlueZone, Saab Seaeye’s distributor in the region. The course was adapted to give hands-on practical training for CSIRO staff in a week-long training program that includes theory and practical sessions, set near dockside facilities in Hobart. The training focuses on real world practicalities. The Falcon’s advanced iCON intelligent control architecture makes for easy role change and ready customization for a variety of missions in challenging environments. Not only does iCON allow a variety of equipment to be installed on board and in underslung skids, but the Falcon has the thruster power and control to offer extreme maneuverability whilst also remaining stable when undertaking precision filming and delicate tasks in strong crosscurrents. This ability for precise station-keeping allows the operator to concentrate on the task at hand. The Falcon concept packs five powerful thrusters and an intelligent distributed control system into a compact 1 x 0.5 x 0.6 meter versatile system that can operate at 300m and 1,000m and has been proven worldwide since 2002. The CSIRO Falcon features include high-intensity dimmable LED lighting, Tritech Super SeaPrince sonar and a Kongsberg OE14-502 HD zoom camera. Since 2000, BlueZone has specified, delivered and supported sales of many different Saab Seaeye systems in the Australian regions.